Previously, Angelina Jolie brought the video game Tomb Raider to the big screen. Now Alicia Vikander takes over the moniker of Lara Croft and is the lead actress in the newest Tomb Raider movie. Tomb Raider tells the story of Lara Croft. Lara is the daughter of missing adventurer Lord Richard Croft (Dominic West). She starts her adventure after she signs the papers declaring her father dead, though his body has never been found. After signing the papers, clues lead her on a journey she never imagined she’d go on. During Lara’s adventure, you’ll laugh and gasp. You’ll also find leadership lessons in Tomb Raider and Lara’s adventures. Gotta make decisions Lara. Gotta make something happen. Terry (Duncan Airlie James) is Lara’s boxing/MMA instructor at a local gym. During Lara’s fight with another fighter, she’s not taking action. She’s avoiding making decisions and bringing the fight to her opponent. So her trainer tells her to make decisions. To make things happen. And as a leader, you have to heed Terry’s advice. Leaders make decisions. Leaders make things happen. Look at your situation. See the viable options. Make the decision to act. Then act. This is what leaders do. This is what YOU do. In her fight, Lara was choked out. She had the option to pass out or tap out. Lara chose to tap out. Leaders are hit with a lot of challenging situations. From the possibility of the bank foreclosing on your business to firing an employee to doing the ethical thing (when others are pressuring you to make an unethical choice), you’re going to be hit and hurt. And you’re going to have to make a choice. Do you stay in your leadership position and keep taking the hits? Or do you choose to tap out and say you’re done? The decision to stay or tap depends on a variety of factors. Ethics, morals, business direction, and more. Know when to stay in the fight and know when to tap. Why on earth are you a bike courier? Lara has refused to sign the papers saying her father is dead and doesn’t receive her father’s money. Because of this, she is poor and penniless and working as a bike courier in London. Her boss, Mike (I believe this was his name, correct me if I’m wrong guys! ), asks her a question: Why are you a bike courier? He asks this not because he believes being a bike courier is bad. He asks Lara this question because he sees her potential. Lara was smart. Really, really smart. Smarter than me. Probably smarter than you. Yet she was living broke in London doing a task that didn’t require her to stretch her biggest strength, her mind. You need to be like Mike as a leader. You need to look at those you’re leading and see their potential. When you see what they can become, begin to encourage them to go in that direction. You might see Tom and know he would make a great servant leader. Or Sally is calling on customers to collect money. You notice she’s a great communicator and might do well in sales. Then there’s Bob. He’s quick to pick up on new technology and use it. As you’re noticing your team using their skills, let them know you notice. Then help them cultivate those skills into a more fitting position. Not only will you help those team members be more fulfilled, you may find the talent to fill positions you’ve needed filling. The bike couriers chose to play a risky game where one person is a “fox” who wears a fox tail and rides a bike with a can of paint dripping a trail and a group of bikers is hunting the fox. The person who grabs the fox’s tail wins the entry fees paid by the hunters. Lara overheard talk of the game. She volunteered herself as the fox. As Lara the fox was being pursued, she saw an opportunity to be innovative. She saw a firetruck she could load her bike onto and ride around without leaving a trail. This would throw the hunters off and give her some time to get away. Could you or your organization be more innovative? What would that innovation look like? Look for areas in your organization that could use some innovation. Then begin to implement the innovations and see how it benefits the organization. Just think of what you can do with your talent. Ana Miller (Kristin Scott Thomas) was someone Lara trusted. Ana came to Lara’s rescue after the fox hunt game came to a messy end. At the police station, Ana bails Lara out of jail. And then Ana drops this piece of wisdom in the Tomb Raider movie. Great leaders encourage their teams. They know they have value and talent. They don’t try to hold them back because they may or may not leave the company. When Lara signed the paperwork declaring her father dead, she was given a puzzle that was only to be given to her upon his death. She quickly solved the puzzle and was led to her parents’ resting place. There, she was able to find more clues. These clues led her to a hidden area underneath her parents’ tombs. The clues were always there. Lara never saw them until it was time. The clues to your success are in front of you. Great books people recommend. Conferences you can attend. Technology to boost your voice. All of these things are clues and tools to help you succeed in life. See what clues are laid before you and begin solving them. I knew I could count on you to solve this puzzle. Lara found her way to the hidden room underneath the tombs. There, she discovered a camcorder with a recorded message from her father. Her father’s message told her to burn the paperwork and research he had done on the tomb of Himiko. He also recognized and affirmed she was smart. Great leaders recognize those they lead. They speak words of life to their team. They let their team know they believe in them. Be a leader who believes in those they lead. Richard Croft’s calling was to seek out the wonders of the world. He sought out treasures and myths. And he was happy. While he found his calling, he longed for Lara to find her calling as well. He wanted to see her living out her purpose. Look at those you lead. Do you see a calling on their life? Are you hoping they discover their calling? Encourage people to seek out their calling. You can even have a hand in helping them discover their calling. Lara’s father had given her a jade necklace. It was a thing of exquisite beauty. The necklace was also the last thing she had to remember him by. But Lara needed money. She chose to go to a local pawn shop and pawn the necklace. The pawnbroker Max (Nick Frost) originally offered Lara 10,000 pounds for the necklace. Lara pushed and kept telling the story of the necklace. This upset Max and he lowered his offer to 9,000 pounds. And then 8,000 pounds when Lara wouldn’t let up. Lara’s talking damaged her bargaining position. She lost out because she talked too much. As a leader, you may feel like it’s your job to talk and talk and talk some more. This constant talking can damage your reputation and effectiveness as a leader. Great leaders know they have to communicate. They also know they have to shut up at times. Know when you need to communicate and when you need to be quiet. The notebook of Lara’s father had strange characters written down. Lara tried to decipher them but couldn’t. This is when a new set of eyes looked at the problem. Lu Ren (Daniel Wu), the captain of a ship Lara stumbled upon, saw the characters and quickly realized what the code was. They were clock hands which equated into GPS coordinates. Great leaders don’t try to solve problems by themselves. They may examine the problem and see if they can quickly solve the problem. If they can’t, they know they need help. So, they bring on other people to look at the problem. They get counsel from others. Don’t think you have to solve all of your organization’s and leadership problems by yourself. It’s okay to bring in help. Lu Ren didn’t want to take Lara to Yamatai, the island where her father (and you discover his father) had died. Lara knew she had to persuade Lu Ren to take her there. She pulled off her boot. Then she pulled out cash. Cold, hard cash and offered it to Lu Ren. The money she offered to Lu Ren talked. Lu Ren was willing to do the job. You may think you can get by paying your employees the lowest amount possible. They’ll do the job, you think, because they’re being paid. But they won’t… Or if they do, they may not do it happily or to the expected standards. Don’t try to shortchange your employees. They’re doing hard work. More than that, they’re working for you. Show your employees you care. Reward them for their hard work. Every time Richard left Lara, he told her he loved her. He wanted Lara to know he cared for her. So he let her know. Next to God, your most important relationship should be with your family. You need to care for these relationships by letting your family know you care for them. You’re working long hours. Or taking business trips. Remind your family you love them before you leave. And let them know you’re going to return. Lara Croft, you shouldn’t have come here. Can I fanboy for a minute? Mathias Vogel was played by Walter Goggins. I’ve been impressed by Goggins’ acting skills from his Apollo 13 days to his portrayal of Shane Vendrell in the Shield. He’s been one of my favorite actors so to see Walter Goggins in Tomb Raider made my night! Alright, with that out of the way, let’s talk about Mathias’ quote in Tomb Raider. Mathias found Lara after the boat Lu Ren and Lara were in crashed on the shores of Yamatai. He’s the bad guy of Tomb Raider and told Lara she shouldn’t have come to the island. Are there places in your leadership you’re going that you shouldn’t go to? Be aware of where you’re going and what you’re doing as a leader. If your actions aren’t aligning with what is right, don’t do them and don’t go there. It’s not worth losing your soul. For a minute, Lara was able to escape from Mathias and his thugs. After escaping one of Mathias’ trackers, Lara noticed a man. She pursued this man and eventually confronted him. As the man recognized Lara, he told himself she didn’t exist. What he was seeing wasn’t real. Yet it was. Lara was right there in front of him. His denial of the truth didn’t make the truth any less real. Seeing this play out in Tomb Raider seemed funny. A man is seeing the truth but denying it. However, leaders do this all the time. They deny the truth and continue living in a lie. Whether this is in regards to the way you run your business or to who you’ve hired, denying the truth hurts everyone. Be willing to accept the truth when confronted by it. Mathias had told Lara he’d shot and killed her father. The truth comes out Mathias had failed at killing Richard and he was still alive. In fact, he was the old man Lara ran into after her escape. The truth was Richard had lived. He escaped and was living a lonely life on the island. When you hear news or problems are brought to you, don’t automatically assume it’s the truth. The truth may or may not be there. You have to dig into the words that were spoken. You have to examine what’s been said and see if it aligns with the facts. Just because something is said doesn’t mean it’s the truth. Richard, Lara’s dad, underestimated how brave his daughter had become. She was willing to risk her life. You can easily underestimate those you lead. Especially if you don’t know them very well. Don’t let your assumptions blind you to what your team can do. They can do more than you expected. Give them the opportunity to go above and beyond. After Lara, Richard, Mathias, and his men entered the tomb of Empress Himiko, one of Mathias’ men stepped on a booby-trapped tile. This caused spikes to shoot up from the floor. Mathias lost a man or two to this trap. All because someone made a mistake. If you’ve read this blog for awhile, you know I’m a huge proponent of allowing people to make mistakes. Yet their mistakes will come with a cost. You may lose monetary value. Or you may lose a customer. Missteps and mistakes are costly. They will take away from your business. Be prepared for the cost of mistakes. As Lara, Richard, and Mathias navigated the tomb, Mathias forced Lara to go first. She had to cross the makeshift bridge, walk across the floor, and other actions. Mathias was scared. He didn’t want to be put in harm’s way. So he made others go first. Great leaders know they can’t and shouldn’t make others go first. It is the leader’s responsibility to take the first steps. Then the leader calls their team along for the journey. Be willing to go first. Be willing to take the risk. Lu Ren’s father sacrificed his life for the people on the island of Yamatai. This created a loyalty in the hearts of the abused workers. When Lu Ren appeared on the island, the workers’ loyalty was transferred to him. Those workers lives Lu Ren’s father saved chose to stick with Lu Ren despite the danger. 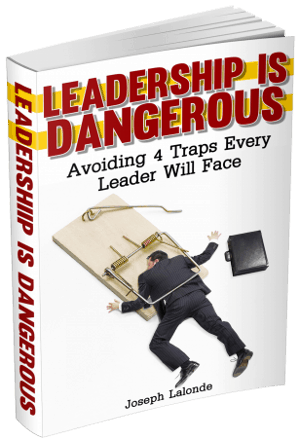 Know you may be experiencing the benefits of the sacrifices previous leaders have made. Your mentor’s sacrifices and the loyalty created by his sacrifice may transfer to you because they see you as his “spiritual” son. Don’t take for granted what other leaders have done before you. Their actions and sacrifices are benefiting you. The group finally reached the resting place of Empress Himiko. They had been successful in their journey. Yet their success cost them dearly. After opening up the burial casket of Himiko, one of the men touched her body. He was soon consumed with the disease Himiko had spread to the people of her time. Their success cost lives. Their success cost more than they expected to pay. You won’t know what the cost of your success will be. Sometimes it will be more than you’re willing to pay. I’ve seen lives ravaged by so-called success. The money starts to pour in and the leader becomes cocky. His cockiness leads to his downfall. Maybe it’s organizational success but you’ve spent so much time away from your family your wife now wants a divorce. Are you willing to pay the price of what you believe success is? Be careful, it may be more than you wanted to pay. You’re worth ten of me. Sadly, Richard Croft passes away in the latest Tomb Raider movie. Before he passes, he shares something special with Lara. Richard tells his daughter she is worth ten of him. This is a valuable leadership lesson here. Great leaders create other leaders who can do more than they ever hoped or dreamed of. These leaders you raise up are worth more than you are. Their talents and skills will be better and utilized in ways you never imagined. Be a leader who is creating other leaders. But not only that, be a leader who’s creating better leaders. In the previous Tomb Raider movies, I remember Lara Croft being a seasoned adventurer. She was proficient with a gun and could navigate dangerous areas. The Alicia Vikander Tomb Raider isn’t a seasoned adventurer. She’s a young woman who has to learn and grow. By the end of this Tomb Raider, Lara is more seasoned. She’s experienced situations and overcome trials. But Lara Croft had to start somewhere before she could grow. Leadership is the same way. Leaders have to start someplace, somewhere. They won’t be talented or have all the skills they’ll need to lead well. They will have to develop and hone their skills through trials and missteps. Don’t discourage young leaders who are just starting out. Let them develop and build on their leadership abilities. Then they can become the leaders they were meant to be. Question: Have you seen the newest Tomb Raider movie? If you have, share a leadership lesson from Tomb Raider you took away from the movie. 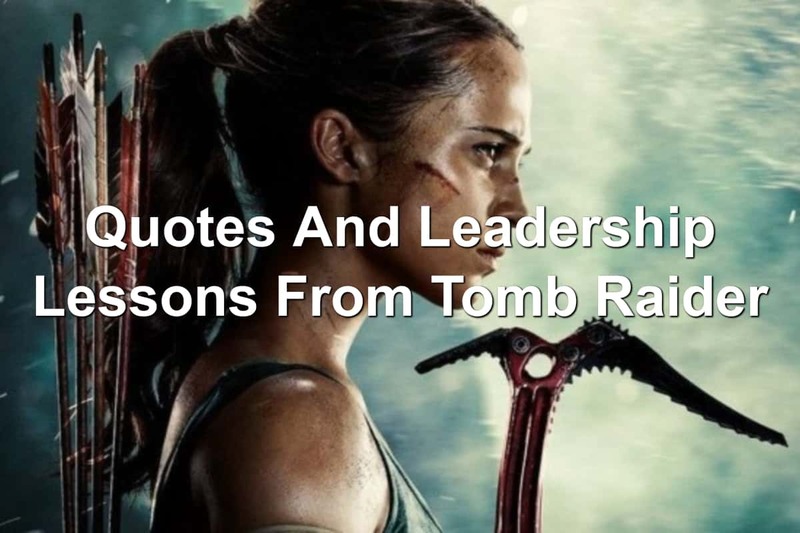 If you haven’t, what’s a leadership lesson from Tomb Raider I shared that resonated with you? Let me know in the comment section below. If you’d like to see the original Tomb Raider movies, you can find them on Amazon for a reasonable price.